Important! This guide is for Sony cameras that don’t support on-camera PlayMemories apps, which began with the α9 in mid-2017, and includes the α7R III and α7 III models. 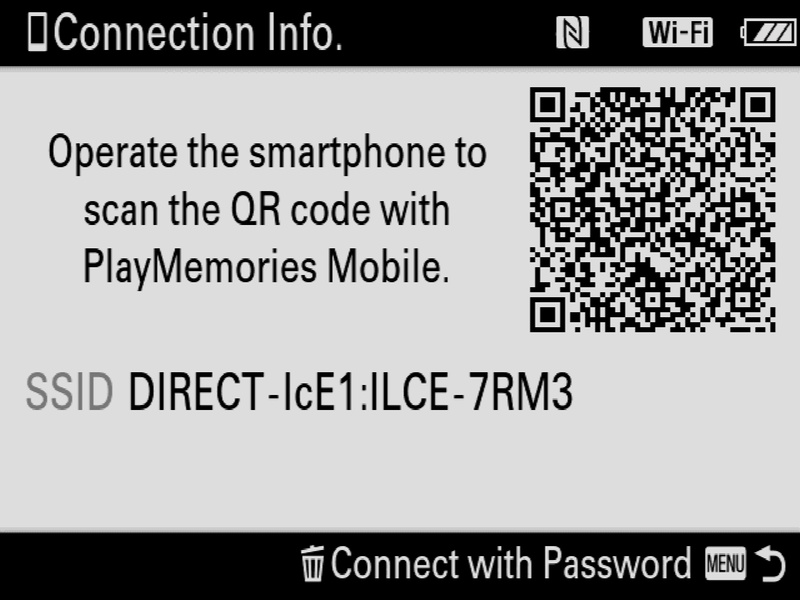 If your camera was introduced before these cameras or supports on-camera PlayMemories apps, you must follow our Sony (With PlayMemories Apps) connection guide. 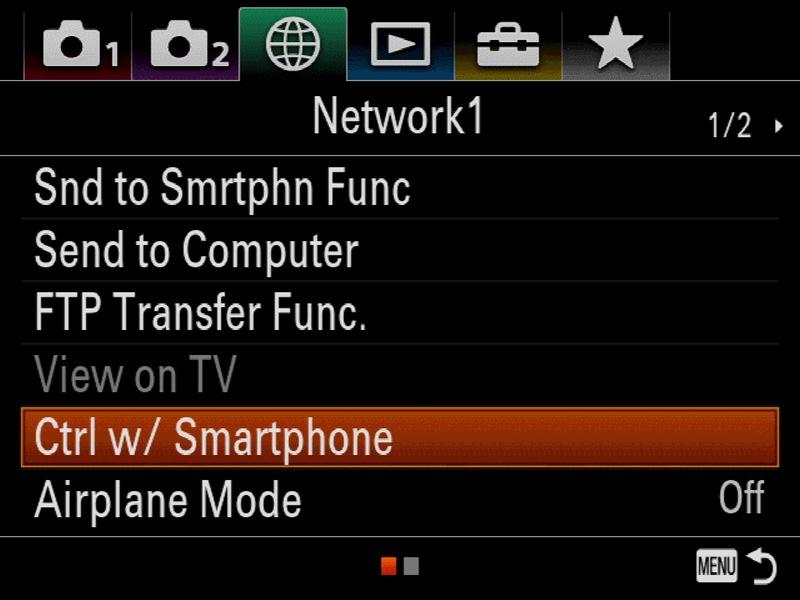 Press the Menu button on your camera and navigate to Network > Ctrl w/ Smartphone. 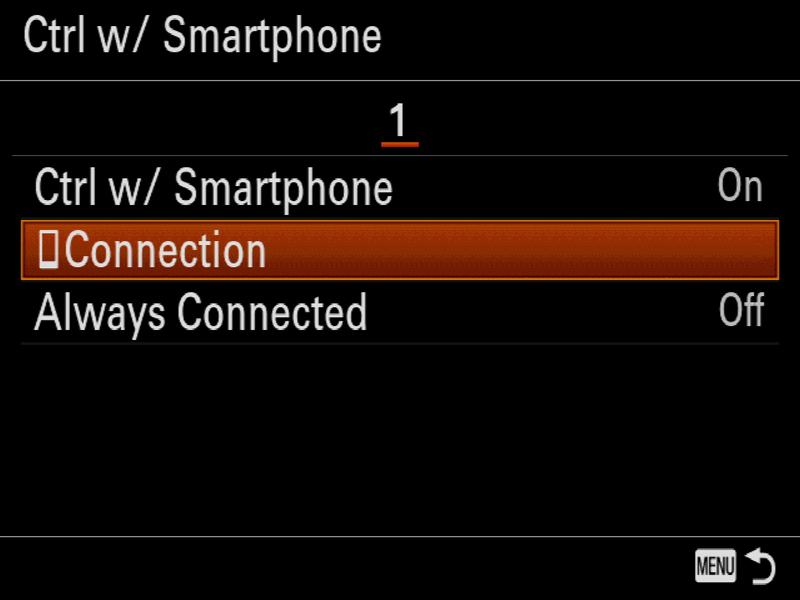 Make sure that the Ctrl w/ Smartphone option is set to On, then choose Connection. Once the camera is ready, it will display the following screen. Tap the Scan QR Code… option in Cascable then scan the camera’s QR code to connect to it. If you would like to to manually connect to your camera, open the Settings app and navigate to Wi-Fi, then select the camera’s WiFi network and enter the password that’s displayed on your camera’s screen once you press the Delete button. Once connected to your camera’s network, return to Cascable and it will detect and connect to your camera.